﻿A review of music that we’ve been listening to lately. This month we take a look at the legendary Marvin Gaye and his latest project, rising star Billie Eilish’s new album as well as recent releases from Head High and Mort Garson. Initially intended as his follow up to the extremely successful What’s Going On, we have finally received 1972’s You’re The Man: Gaye’s ‘lost’ album, plus some unheard singles, outtakes and remixes from Nas and Amy Winehouse producer Salaam Remi. The album got lost amidst tension between Gaye and his record label, Motown Records, with founder Berry Gordy sabotaging the release of the eponymous single on the back of a bitter battle for control. Clocking in at 17 songs, the project is a great look into Gaye’s state of mind at the time; caught in the middle of wanting to push more socially conscious records as he had with What’s Going On just a year earlier and resuming business-as-usual Motown hits. A major Marvin fan would have heard most of these tracks over the years. Attached to box sets and deluxe versions of previous albums, but to have them consolidated into a single project and pressed to record feels like a piece of history restored – this really was Gaye at his true creative peak between major triumphs What’s Going On and Let’s Get It On. An enjoyable listen right through, jump on it for anyone needing that Soul in your life! 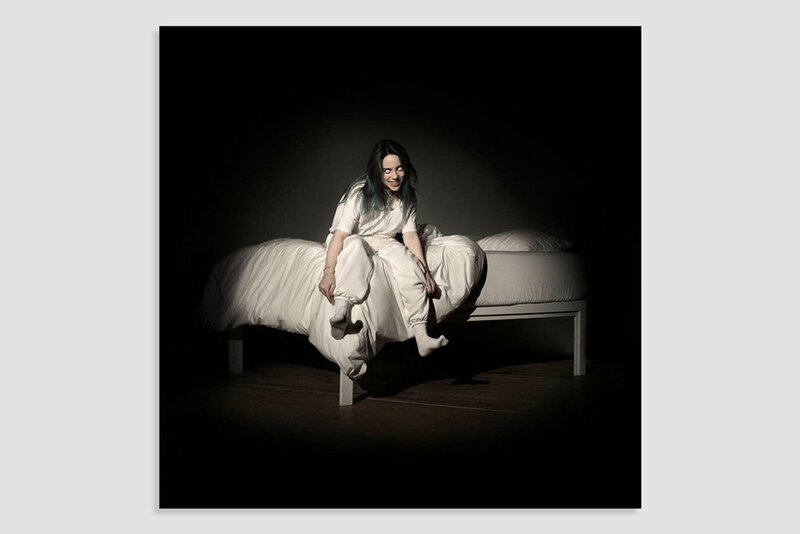 Admittedly, I haven’t given much time to Billie Eilish before this album, but heard plenty about her between her Laneway performances and collaborations with Takashi Murakami. Being a superstar teenage-phenom, I thought the album would be interesting if nothing else, and it certainly was. After thinking she sounds like Lorde and Lana Del Rey’s half-evil birth child, what I hear first is a musician having fun. She definitely doesn’t take herself too seriously and you can hear it through the music. Although a lot of the album is dark, brooding and intimate as if you were sitting in her bedroom listening to the beats while she sang, the changes, references and skits throughout was super fun! Hearing Wish You Were Gay for the first time made me audibly laugh – something I haven’t got from music in a while. I like that she’s not afraid to play around with effects on her vocals, where typical pop stars polish and protect their vocal performance like the crown jewels, Billie uses hers to truly add to creating her own sonic universe (listen to ‘xanny’ or the start of ‘8’ as an example). What’s nice about listening to major label releases is their access to the top mixing and mastering engineers. The album was mixed by Rob Kinelski (with credits to the likes of Rihanna, Vince Staples, Drake, G.O.O.D. Music, Ariana Grande) who did a great job in giving all the songs their own room while adding to the overall sonics of the album. The balance throughout the album is superb on all fronts, with some obvious stand out hits complemented by the delicacy of tracks such as Listen Before I Go. Definitely recommended to anyone needed a pop album with some real substance! After hitting play, I guarantee you’ll forget this girl can’t even legally drink yet. One of René Pawlowitz’s many alias (well known as Shed, Hoover) sees a new release: Into It, his first as Head High since October last year. A dive “deep in the mush of House, Oldschool and Breakbeat” takes us through six dusty dance tracks, greeting us with gritty samples and hazy atmospheres on Higher the Break that sets the tone for what’s to come. Lots of jungle sensibilities, warm pads and crispy breakbeats, plus those chopped female vocal samples in typical Shed fashion. The EP gets stronger and stronger as you move through it. What You Want stands out as the single here, big delayed chords and a strong break driving us into the liberating message “you can do what you want”. It’s a chunky, screw-your-face-up type beat that just keeps on rolling and takes us straight into Set Me Free, with powerful breaks and a vocal that’ll send the crowds wild. A really functional EP drenched in saturation and dirt, primed and dance floor ready! Heavy! Honestly, I saw the album artwork and was instantly intrigued; “warm earth music for plants… and the people who love them”. I love plants, I think they’re a welcome addition to any household and so, as a gift to me, my young monstera and slightly older cactus, I put the album on during a vicious Sunday hangover and entered the world of Mother Earth’s Plantasia. And when I say I entered the world, it really is a world of its own. Composed entirely on the now famous Moog synthesizer, it immediately made me think of original Star Wars films or background music to a trippy Carl Sagan segment. 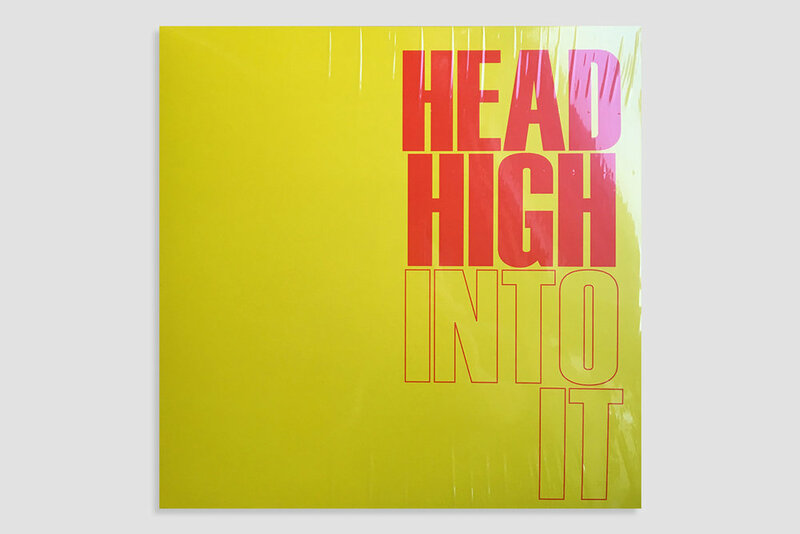 It’s stoner-friendly, bubbly, playful, endearing and dreamy (as to not scare the plants) and has become hugely sought after since its 1976 release; an original pressing of the album is fetching upwards of $250 on Discogs, with one copy going for over $400. Almost instantly you can tell this is from a bygone era and at the time it was surely a groundbreaking experiment, but it isn’t an ambient record I will return to again and again. It was most definitely a fun journey and who knows, I might leave it on for plants when I leave the house, but somehow I find myself wanting less from an ambient record - less busy, less crowded. Admittedly it did cure my hangover and made the day feel easier, so if that’s what you’re searching for then look no further! This five track EP is the final in a trilogy of jam sessions between Autre and Two Thou plus invited artists. First it was with Xinner and Demo, then Hawaiian Chips and now, Christopher Rau, known for his affiliation with the likes of Pampa Records, Smallville Records and Max Graef’s Money $ex Records. Drifting between ambient soundscapes and electro-inspired breakbeat, the EP manages to hold a nice space between being fast and energetic while maintaining that eerie, enticing feeling of discovering a secret underground room of that mainstream club your workmates always take you to. The ambient interludes are nice bridges that connect the whole project, floating through the world of samples and synthesis. Typical of Christopher Rau’s output, expect to hear lots of vintage, dusty samples and the kind of off-kilter beats that still communicate a high energy without being aggressive. This EP feels like a great after party soundtrack, nice switches of pace, interesting instrumentation and quick enough to keep you awake well into the next day.